Throughout March 2019 enter to win a new Ltd. Ed. Peter Frampton Les Paul Custom PRO with hard case. 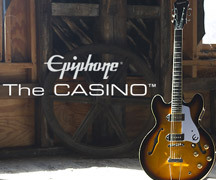 Epiphone will choose a winner from the U.S., Canada, and the UK/EU on April 1, 2019.